As those of you in the northern hemisphere are enjoying the final warm days of summer, we are here on the opposite side of the world looking forward to spring! It’s been nearly two years since we moved to Australia and I still can’t get used to the seasonal differences of blooming flowers and ripening fruits. But sometimes, the fruit seasons align. It’s blueberry season here in Australia, and I imagine it’s not too far off from the northern hemisphere’s berry season, depending on the summer’s weather. I’ve been baking my favourite sour cream blueberry muffins every chance I get lately, and realised it’s been more than 10 years since I posted this recipe (crazy, right? ), so I thought it was worth sharing again. 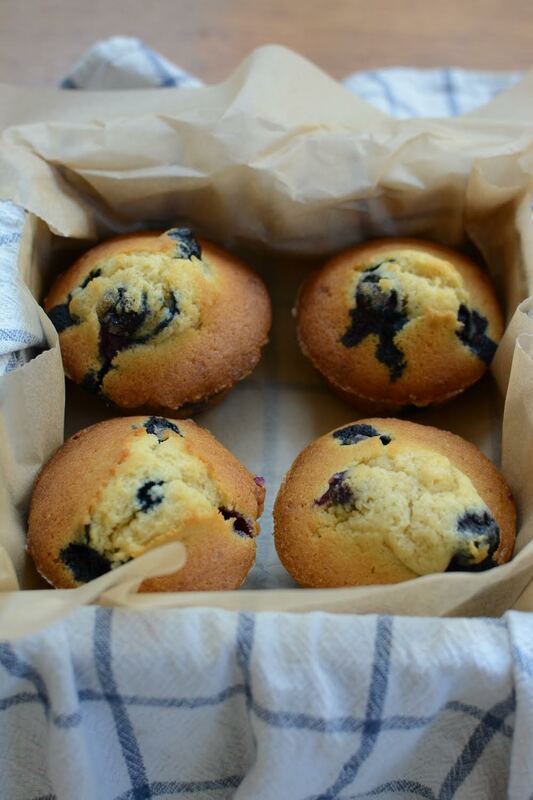 We love these muffins because they’re not overly sweet, but really are so delicious. And so easy to make! -1/4 cup (55 grams) of butter at room temp. Preheat oven to 450°F and line a muffin tin with paper or foil liners. In a medium bowl, cream butter and sugar. Add eggs one at a time, beating well. Sift flour, soda and salt together, and add to butter mixture alternatively with the sour cream. Gently fold in berries and vanilla. Bake for 12-15 minutes, until golden brown. (Makes 12 muffins). Yes, plain flour. So easy! These sound delicious! Do you happen to have the metric measurements? They would be so helpful. I just thought because you live in Australia now…so you might have given the recipe to your neighbors…but please, I don’t want to bother you! Hope you’ll have a wonderful summer!